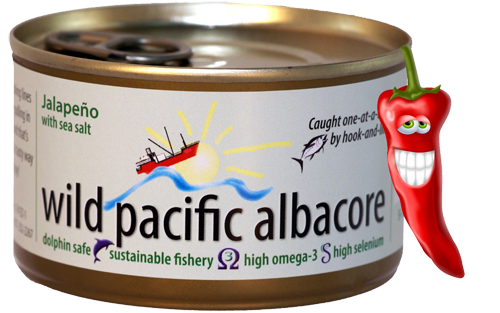 We love Jalapeño albacore in tuna wraps: flour tortilla, chopped onions, tomatoes, lettuce, sour cream, and salsa ... yum! Jalapeno flavored tuna?? Who would have thought it would taste so good. This is by far the best tuna I've ever had. I'm truly addicted! It's not too spicy and not too tame...it's just the right amount of heat.